Sometimes my word bowl fails me and gives me such random unrelated words, that I cheat and put them back and keep drawing from it until I get something I like. The first words I picked, “there she was” sounded promising, but then… “fetch the cows”. Seriously?! How did those words end up in my bowl to begin with? Well, I know how, but that’s a different story. I really wanted to put that phrase back, but I know that sometimes I don’t use all the phrases as inspiration so I stopped myself. I drew again. 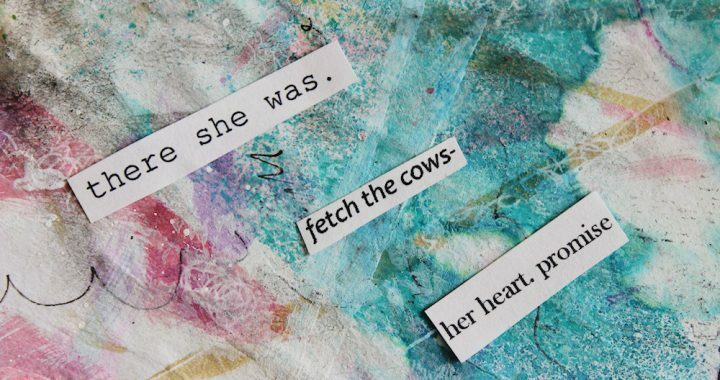 Two of my phrases could inspire artists to create all kinds of fabulous girl art, but it was “fetch the cows” that kept speaking to me. I finally realized why. The words made me think of artist and photographer, Jonna Jinton and her haunting kulning, which is how the ancient Swedes called their cows home. It was her magical mystical call, along with the clank of the cow bells, the misted landscape and Jonna, herself that inspired me to paint this little 5 x 7 mixed media piece called, “Fetch the Cows”. 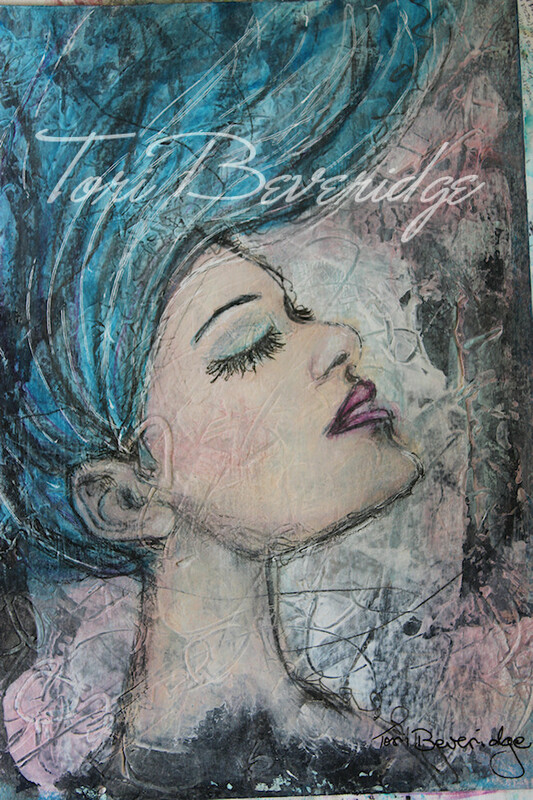 Posted in Creative Every Day, mixed media, portrait, Word Bowl and tagged acrylic painting, face, inspirational, mixed media, painting, portrait. This painting is beautiful! It matches the YouTube very well. I think the word bowl is a wonderful idea. I am going to start one for myself. 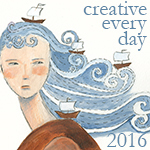 I found you on Embrace Your Art. Thank you MamaRose! I hope you get as much inspiration out of your word bowl as I do. I think it will. Sometimes I need a jump start or a way to get out of slump. Thanks for sharing that idea on your blog. I hope you are having a day filled with many blessings.